I have played the piano since I was old enough to climb onto the piano bench at my grandmother's house. The first song I ever learned was “Somewhere Over the Rainbow” from one of my favorite films The Wizard of Oz. Over years of instruction, I took as many opportunities as possible to combine my love of music with my love of film. In between lessons on Beethoven and Chopin, I would ask my instructor to teach me music from the movies. As a result, my competition and recital programs included as much Barry and Mancini as they did Bach and Mozart. Last month, after finishing an evening performance for my usual audience (my husband and cat), I shared a photo online of my piano covered in sheet music. It was not just any sheet music. My piano music rack was filled with the themes from Breakfast at Tiffany's, Tammy and the Bachelor, and A Summer Place – just to name a few. It was only a small sampling of my vast sheet music collection of classic film theme songs and scores. In sharing my image with the classic film community on Twitter, I stated that it illustrated what a movie fan’s piano looks like. One of the first folks to like and respond to my post was blogger and fellow cinephile Margaret Perry. She asked if I would contribute this photo to a social media experiment she was conducting for classic film fans. Of course, I immediately agreed and had to learn more about her project. 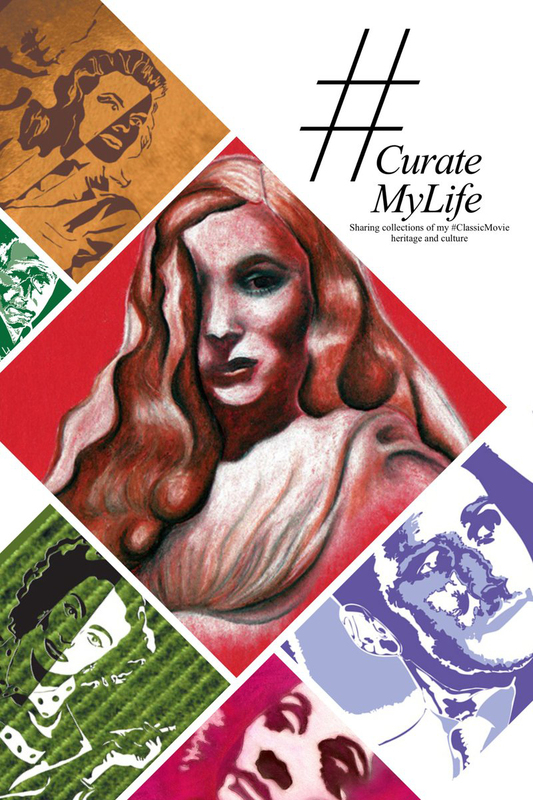 As part of her Cultural Heritage Management course at the University of York, Margaret was asking the online classic film community to share images on social media with the hashtag #CurateMyLife. As Margaret put it, her project’s goal was to “connect the public with a sense of heritage and to see how their lives contribute to our understanding of culture.” Adding her own spin to the class assignment, Margaret created a “classic-filmified” criteria that participants, like me, could use to curate their own photos. 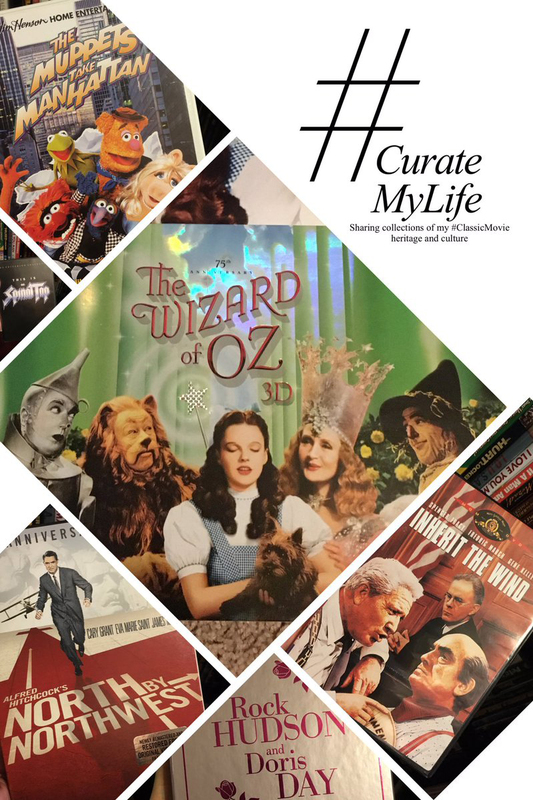 Since I have been enamored with films as long as I can remember, I have amassed a lifetime of movie-related artifacts that showcase my personal film heritage. 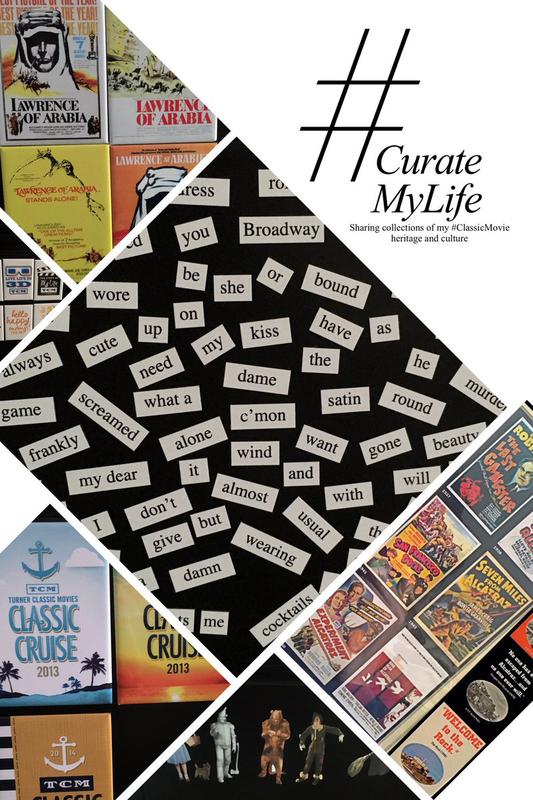 From magnets on the fridge and mugs in the cupboard to books on the coffee table and sheet music on the piano, my home is filled with cinematic touches in almost every room. During the last two weeks of February, I happily participated in Margaret’s project using the criteria she developed. 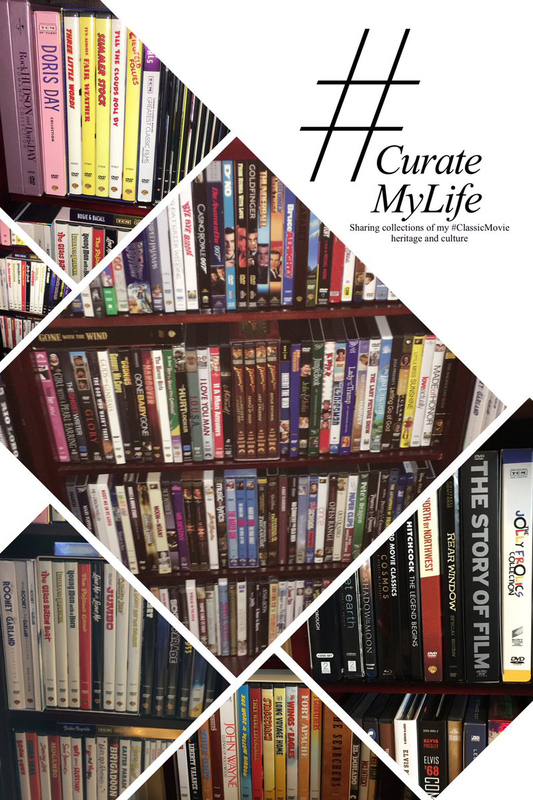 By curating my collections of books, DVDs, artwork and more into the gallery of images below, I was able to explore my own cultural experience with the movies. My ever-growing collection of DVDs. Some of my favorite DVD titles. The #ClassicMovie wall art that adorns the walls leading upstairs to my office. 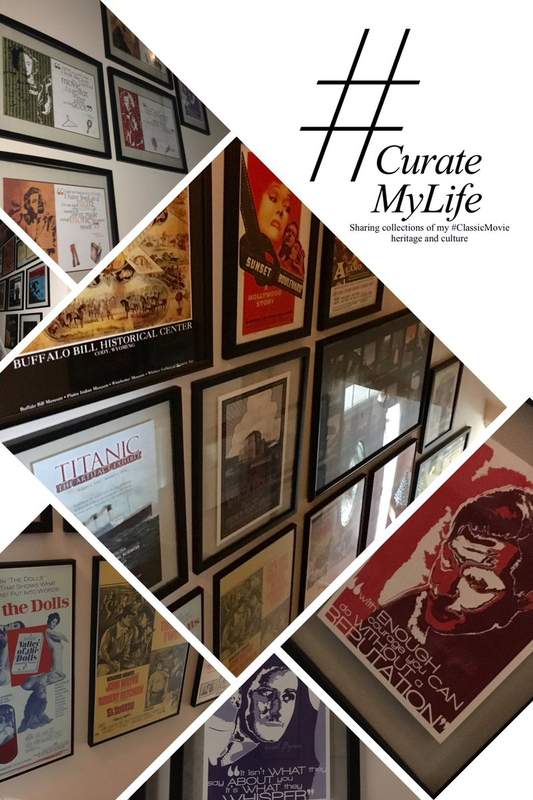 Posters from various special film-related events and festivals I have attended. Movie-themed tin signs from the walls of my office. An original piece of wall art I created using scanned copies of sheet music covers from my collection. Assorted magnets from my fridge and filing cabinets. 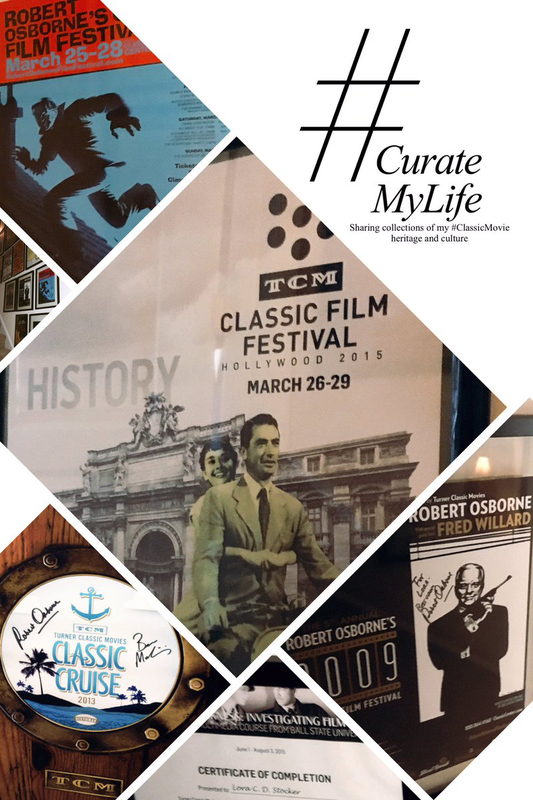 Some of my #TCM-branded items – a #RobertOsborne bobble-head, travel cups, beach towels, coasters, and more. 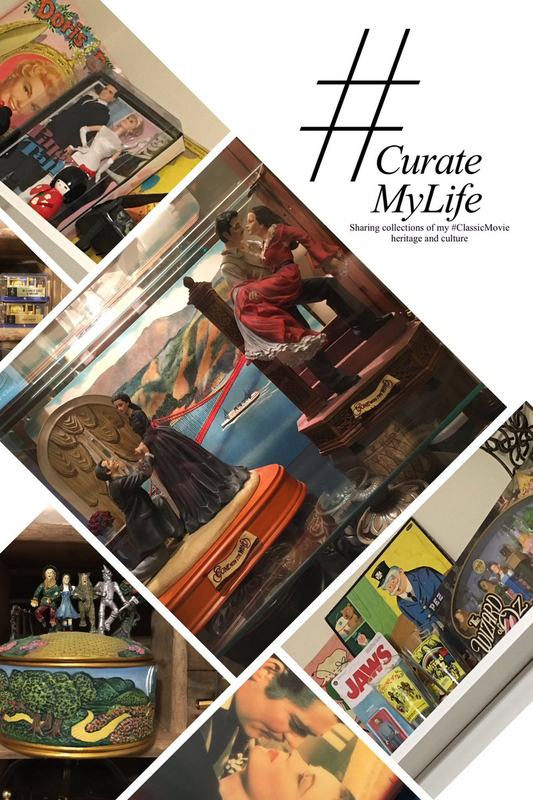 Hollywood-themed music boxes, action figures, puzzles and more. 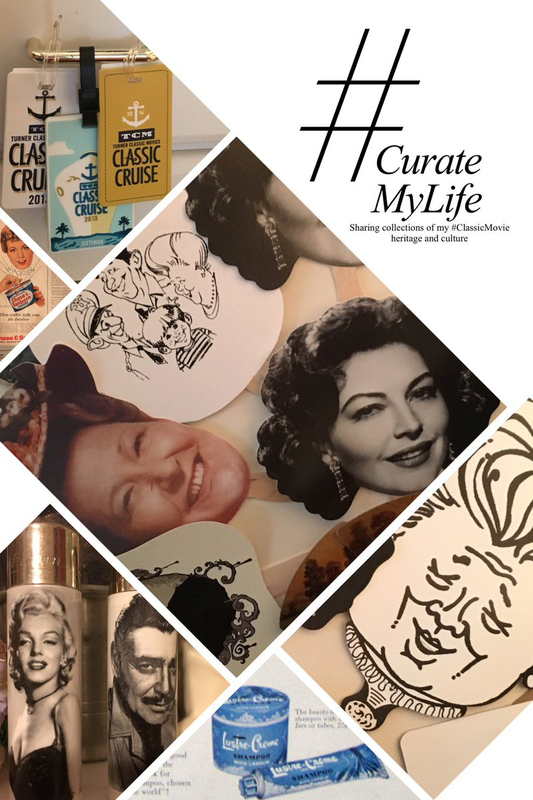 #TCMCruise luggage tags, lighters, fans, and vintage magazine ads. My collections of movie ticket stubs, some dating back to middle school. A few pictures with some of my frequent movie theater companions. Hand-drawn and digital illustrations I created of #ClassicMovie stars. 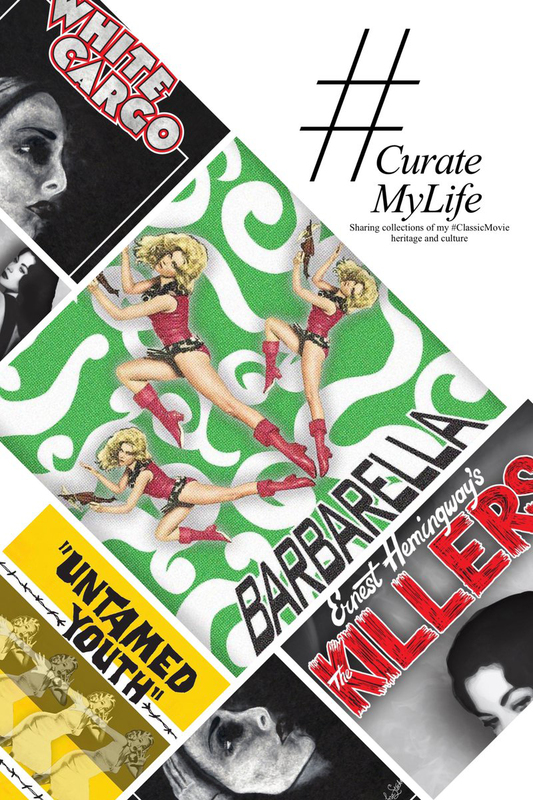 Some illustrations I designed last year inspired by the #PinUpGirls programming series on #TCM. Some images from the series of #LetsMovieSelfies I created to celebrate the #TCM branding #LetsMovie campaign. As well as some designs from my series aligned with the #SouthernGothic screenings on #TCM. Samples from my various series of the illustrated GIFs designed around #TCM's holiday programming – including #TCMAdventCalendar and #TCMValentines. 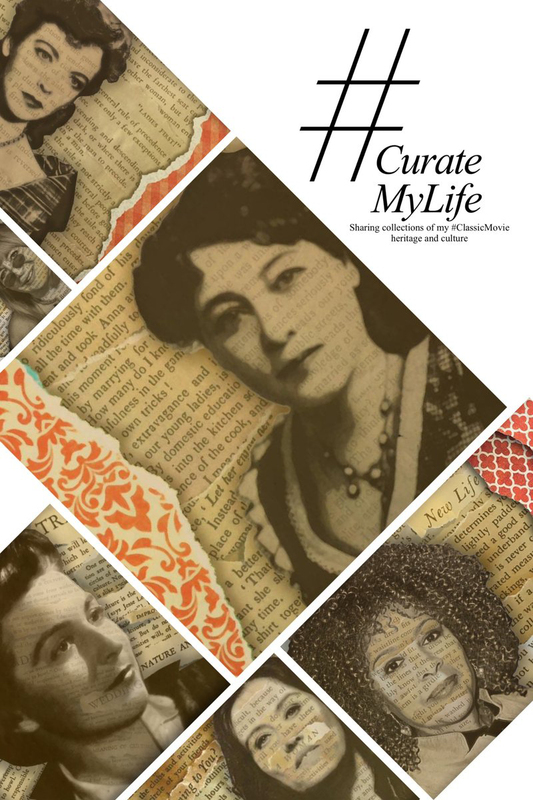 A sample of the artwork I created in conjunction with the #TCM programming series around #TrailblazingWomenInFilm. 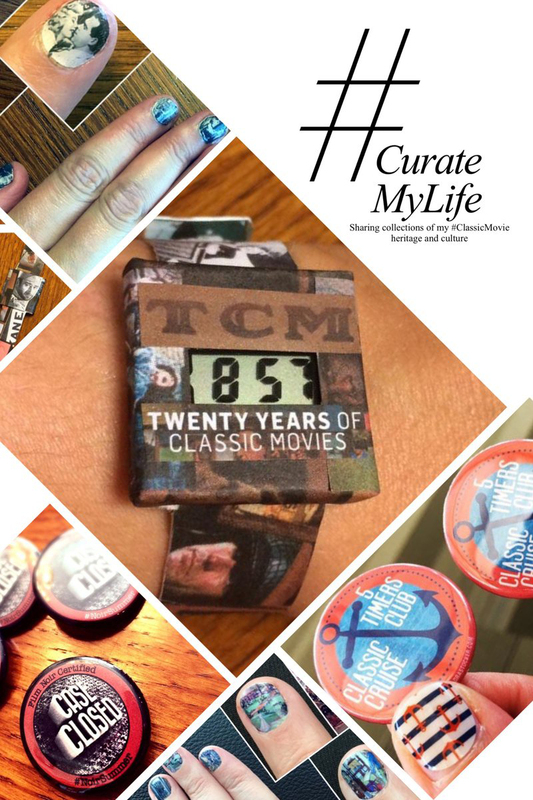 Original #TCMCrafter pieces I have created – including a #TCM watch, buttons, and fingernail artwork. Some of the celebrity autographs I have collected - including Louis Gossett, Jr. and Illeana Douglas. My mother's fan club membership materials for Ricky Nelson and Richard Chamberlain. A few selfies with stars like #AnnBlyth or #WilliamShatner and #TCM hosts #RobertOsborne and #BenMankiewicz. Assorted selfies from the #TCMFF last year. 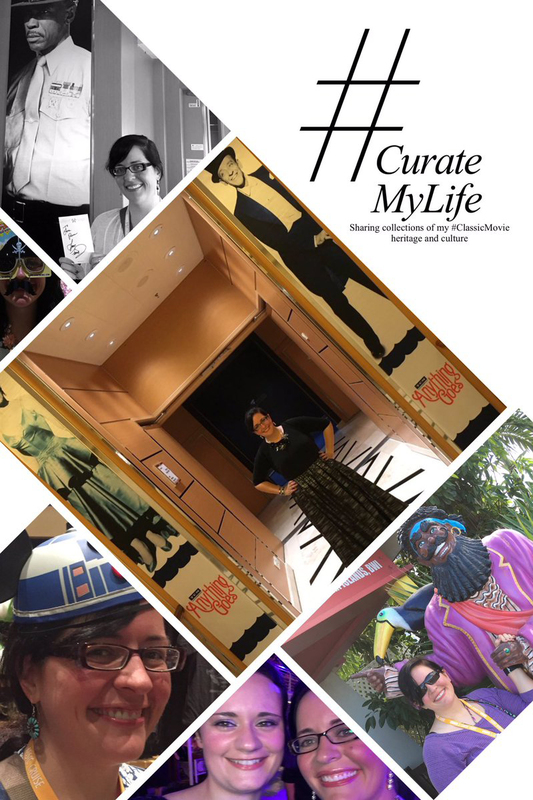 Assorted selfies from the #TCMCruise events I have attended. My collection of books including various histories, biographies, autobiographies, and technical writings. 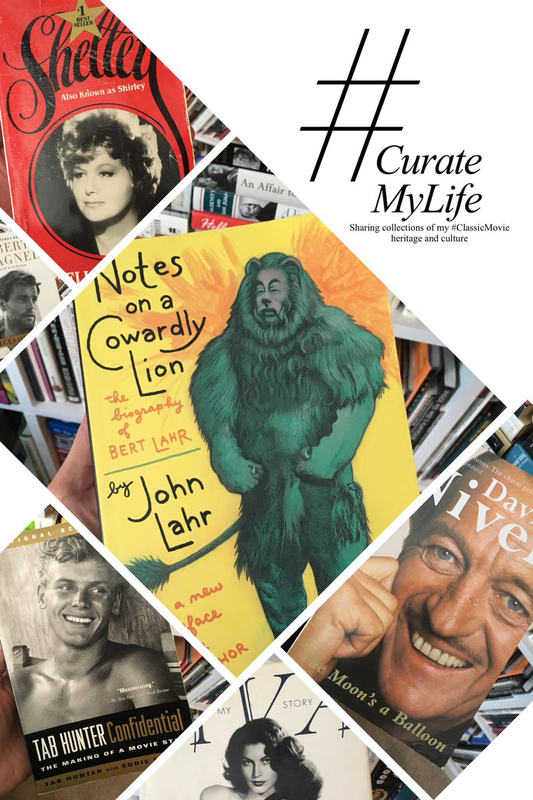 Some of my favorite #ClassicMovie star biographies and autobiographies. Some of my LPs and CDs related to the movies. Assorted paper doll books for female film stars. A complete set of tobacco Hollywood trading cards from 1939. Assorted #ClassicMovie star magazine ads for assorted Lustre-Creme products. A set of National Screen Star stamps from the 1930s. 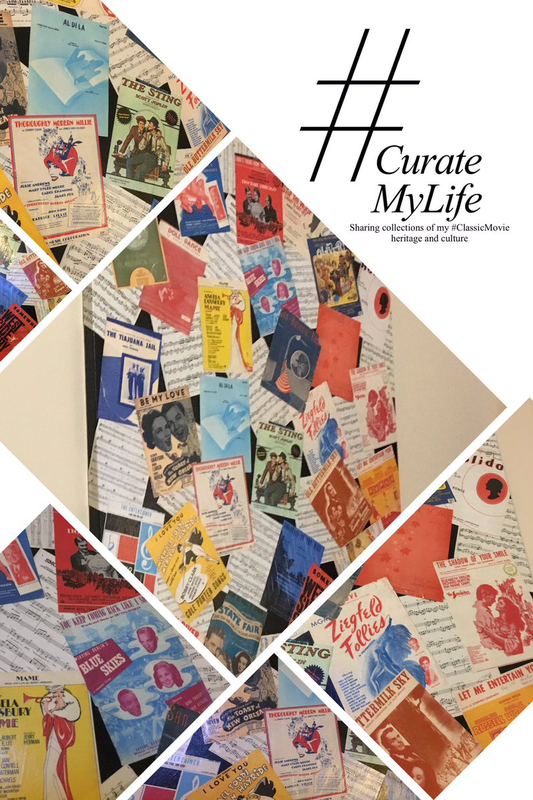 To learn more about the project or to view posts from other participants, search the hashtag #CurateMyLife online or follow Margaret Perry on Twitter at @curatemylife or @MargaretPerryKH. Check out more of my designs under the "Work" tab of my website, follow me on Twitter at @LoraStocker or email me at stockerdesigns@gmail.com.